The EGroupware address book supports your team in managing addresses. 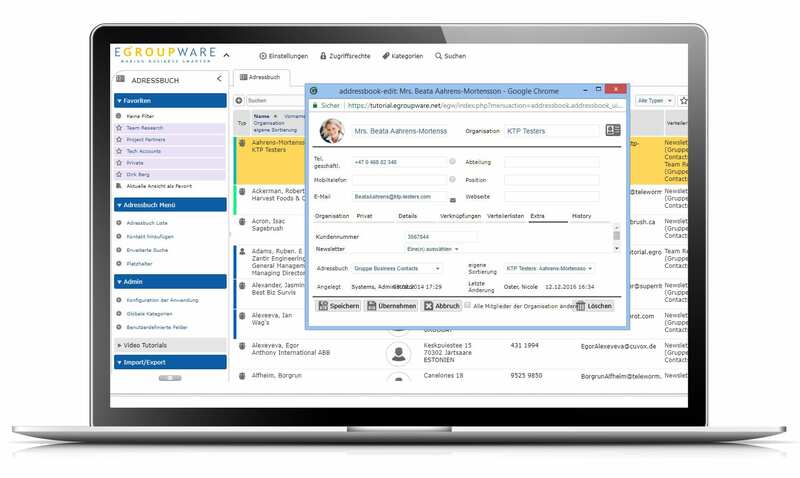 Edit your customer, supplier or personal addresses in your central platform EGroupware. This gives the entire team access to up-to-date data. Agile rights management allows you to centrally decide who can access which data. Your addresses are also available for serial letters or synchronization with smartphones. 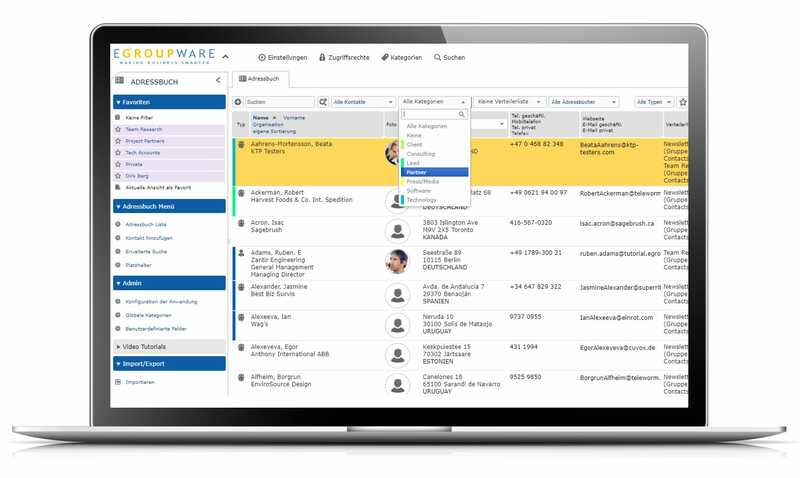 The extensive linking options between the modules mean that information concerning a contact is directly available, for example, in the CRM view. 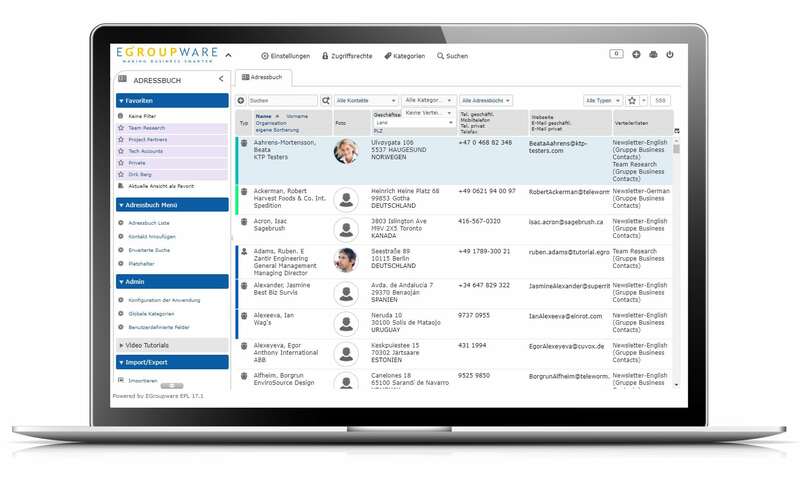 With EGroupware’s merge function, you can easily create mailings and use the data from your address book. No export of the data is necessary. You create a template document with placeholders and then have the possibility to insert different addresses from the address book into this document. Of course, you can also send personalized email templates with customer information. With EGroupware you can create any number of different address books for groups or departments. The rights management ensures that the respective addresses can only be accessed by the corresponding employee groups. In addition, each user can have his or her own personal address book with data that only he or she has access to. With the extensive search options, you can easily find specific addresses. You can not only search for individual fields such as city or name, but you can also use the Advanced Search to search for a combination of all available fields. Distribution lists and categories are also available as filter options. Frequently used search combinations can also be saved as favorites to make them available with a single click. Each customer is different and has specific requirements for data fields that should be available. Therefore, EGroupware has the concept of user-defined fields. You can easily create your own data fields and directly adapt EGroupware to the needs of your company without any programming knowledge. For some, it is the customer number, for others, the partner number or other customer-specific characteristics. You can cover all these possibilities with the EGroupware address book. The contents of the user-defined fields are also available for serial letters or e-mails. You can synchronize the data from the address book with mobile devices and use it in external programs. The EGroupware software provides you with extensive options for this purpose. As an import/export interface, an exchange in CSV format is possible, which can also import data scheduled from an external system such as a merchandise management system. In addition, the data can be synchronized via CardDAV or ActiceSync. With the addressbook of the groupware you provide your team with a great crm tool. 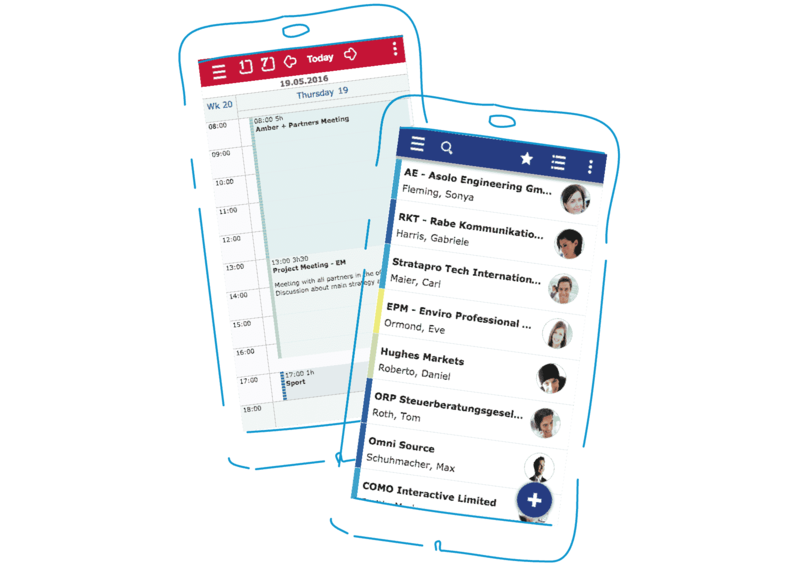 Try EGroupware’s adressbook, group calendar and project management modules now for free!